History sometimes states Fiery Dragons appeared in the sky. Thomas Short’s General Chronological History mentions several Fiery Dragons. A Star of a prodigious Size appeared over Britain, to whose Radius was joyned a fiery Sword like a Dragon ; out of its Mouth went two Radii, one extended over France, the other over Ireland. Terrible Prodigies afrighted England, especially Northumberland, viz. frightful Thunder and Lightning, fiery Dragons flying in the Air, great Blasts or Streamers ; soon after followed a severe Famine. In Italy, during roaring Thunder, and a terrible Tempest, like a red hot Stone of a prodigious Magnitude, flying out from the West, fell out of the Clouds to the Ground ; a fiery Dragon was seen at the same Time ; the same Moment was an Earthquake in France and Germany. Great Inundations both by Sea and Rivers, drowning much Cattle, People, and Towns in England. Abroad many fightful Prodigies were seen ; a Comet shined and burnt some Months ; fiery Battles were seen in the Air ; the Noise of fighting Armies were heard ; bloody Arms were visible in the Air ; Cities besieged, fiery Darts ; Infants spoke in the Womb : Bread broken, poured out Blood; great Swarms of unknown Flies in many Countries ; a fiery Dragon spuing Fire out of his Mouth, flew through the Midst of Heaven; the Sun and Moon were darkened ; Stars seemed to fall to the Earth ; a severe Winter, and great Dearth of Grain: Syracuse was shaken by an Earthquake. Chron. Spand, and Saxon. and Func. Philip. In some Places the Day was cloudy ; in others, dark; in a third, quite Night. The Sun appeared like a new Moon, some times broader, sometimes smaller, sometimes crooked, sometimes straighter ; sometimes it stood still, other times it moved forward, and seemed like Quicksilver, moved and liquid. Some said the Sun was in Eclipse, which, if true, it must have been in the Dragon’s Head; and the Moon in his Tail, in the 5th Sign, i. e. in the Lyon. The Moon was 27 Days old ; many Stars were seen the same Time. as usual at that Age, and suddenly after seemed very large, and sparkling red like a Shield. Several saw two Moons the same Night, at a Spear’s length Distance. Great Intemperature of the Air. In France many Birds fell down dead. November the 30th, a Light shone from E. to W.
This Light and Redness like burning Fire, flew with the Wind in England; some affirmed they saw a fiery Dragon at the same Hour with a crisped Head : This strange Corruscation was seen over all England. In Nordland 36000 Men perished by a sudden Flood. St. Laurence’s Lake surprisingly breaking out, and emptying itself into the Ilora and Rhodom, through Gratianople, destroyed many thousands of People, and marred much Land. In England appeared a stupenduous great Comet. An Earthquake. All Winter were frequent Thunders, continual Rains, violent Hurricanes. And two fiery Dragons seen in the Air. In April was a prodigious Snow, which broke down many Trees ; a Frost coming upon it, killed far more, so as in many Places no Leaves appeared on them that Summer ; no Apples in most Places; after this so great a Drought, that most late sown Seed died. Fiery Dragons were seen in the Air, flying and fighting. So great a Frost was there in Gallia Cisalpina, that the Venetians walked on the Ice of the Po, and travelled with Coaches over it and Waggons, as in a Land Journey; Wine frozen in Bottles was thawed to melt it; all Water-Mills were stopt ; Vines and other Trees died; many People were frozen to Death in Bed; Famine and Plague followed; so great was the Famine in France, that Men ate Grass like Oxen, especially in Aquitania. The Plague was so terrible in Pictavia, that St. Maxentius’s Church was filled with dead Corps. In July a great Part of Worms was burnt down. There was great Rain and Floods in England in the Spring; but on the Morrow of St. Martin’s Day, in 1232, was great Thunder and Lightning, which continued 19 Days together; the like Tempest happened on March 23d after: April 7th or 8th, between 6 and 7 in the Morning, appeared four Suns besides the natural one in Herefordshire and Worcestershire ; they were all of a red Colour, and had great Circles of a green Colour compassing the whole Realm : From the Sides of the Circles went out half Circles, in whose Section or Division appeared these four Suns; after this was a very rainy Summer with great Floods. In June were seen on the south Coast of England two great Dragons fighting in the Air; the Combat lasted a whole Day, the one conquered, and chased the other into the Sea, and were seen no more. November 1st, was a great Tempest of Thunder and Lightning; after it an Earthquake; this Year were great Wars and Bloodshed in England; inestimable as well as irreparable were the Losses done by a Flood in July; a severe frosty Winter. March 5th, rose a sore and terrible Wind, which overthrew Houses, broke and rent Trees, destroyed much Cattle; this was followed by a great Mortality and Plague; much Youth died every where in Cities, Towns and Country; after this a great Dearth of Corn. In April, a fiery Dragon in the Air was seen in many Parts of England. —- Whilst the King was at Sheen in July, in his Court were such Swarms of Flies and Gnats skirmishing with one another, that in the End their killed were swept away with Brooms, and Bushels were filled with them. In many Parts of England appeared a Thing in the Likeness of Fire, sometimes in one Shape, sometimes in another, but in sundry Places at the same Time every Night all November and December, but chiefly in Leicester and Northamptonshire. When any Body was alone, it would go with them ; if several were together, it would go at a Distance ; to some it was like a Wheel turning all in a Flame ; to others it was like a Barrel throwing out Flashes of Fire at the Top , to others like a long burning Lance, &c. appearing to all in different Forms ; it stood when they stood, and went when they went. In April after, was seen a fiery Dragon in many Parts of England, which surprized many. In May a Conjunction of Jupiter and Saturn. During the cruel Popish Persecution in Scotland, a Comet like a fiery Bessom flamed all November and December and January. Great Rivers in the middle of Winter were dry, and in Summer so great Floods as carried down and drowned several Villages, and carried much feeding Cattle from their Pastures into the Sea. Several Whales came up the Forth. Many Hail Tempests, the Stones as large as Pigeons Eggs, which destroyed much Corn. A fiery Dragon was seen flying near the Earth, vomiting out Fire both Day and Night, so as People were obliged constantly to watch their Houses and Corn Yards. Spotsw. Hist. of the Ch. of Scotl. The Small Pox and Meazles raged all the Summer at Genoa, and were fatal to many, either from a previous morbid State, or a Weakness of some Viscus, or a severe Seizure of the Disease on the Internals, or a Weakness of the expulsive Faculty, or the Eruptions were more fatal to some particular Families. September 20, past seven at Night, was seen a fiery Meteor, flying Dragon, or Tail of a Comet, over all England. The surprising aspect of these observations is that most sightings coincide with inflection points in Leona Libby’s Old Japanese Cedar Tree chronology. Although Fiery Dragon sightings appear to be fairly random there is a suggestion of a recurring event with a periodicy of [roughly] 155 years. This 155 year cycle very curiously represents a Double Gleissberg Solar Cycle. It measures the intensity of the solar activity (Wolfian sunspot numbers). If Fiery Dragons occur every 155 years then the observational record suggests Fiery Dragons should have appeared in 1705, 1860, and 2015. The Fiery Dragons prediction for 1705 appears to be a spectacular failure but the prediction for 1860 is remarkably close to the Carrington Event of 1859. The solar storm of 1859 (also known as the Carrington Event) was a powerful geomagnetic storm during solar cycle 10 (1855–1867). A solar coronal mass ejection (CME) hit Earth’s magnetosphere and induced one of the largest geomagnetic storms on record, September 1–2, 1859. The associated “white light flare” in the solar photosphere was observed and recorded by British astronomers Richard C. Carrington (1826–1875) and Richard Hodgson (1804–1872). The portion of each orbit above the plane of the ecliptic is drawn in blue, the portion below in green. And the Fiery Dragons prediction for 2015 is uncomfortably close to the “Carrington-class” solar superstorm of 2012. On July 23, 2012 a “Carrington-class” solar superstorm (solar flare, coronal mass ejection, solar EMP) was observed; its trajectory missed Earth in orbit. Information about these observations was first shared publicly by NASA on April 28, 2014. If Fiery Dragons are caused by Carrington-class solar superstorms then they might represent an electric arc between two atmospheric layers. An electric arc, or arc discharge, is an electrical breakdown of a gas that produces an ongoing electrical discharge. The current through a normally nonconductive medium such as air produces a plasma; the plasma may produce visible light. 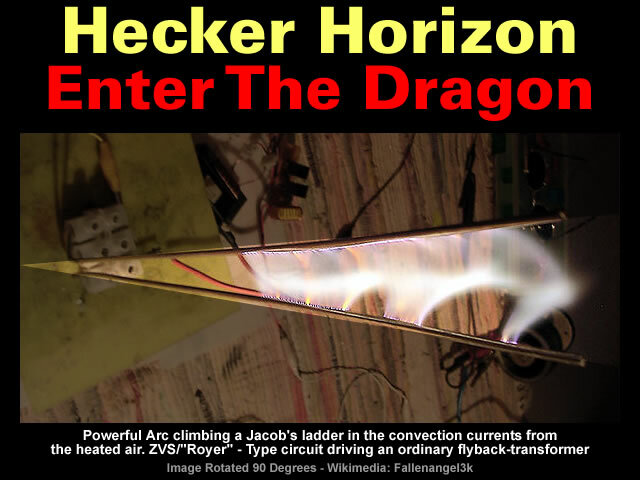 A Jacob’s ladder (more formally, a high voltage traveling arc) is a device for producing a continuous train of large sparks that rise upwards. The spark gap is formed by two wires, approximately vertical but gradually diverging from each other towards the top in a narrow V shape. The observational record of Fiery Dragons suggests the periodicy of the Double Gleissberg Solar Cycle has drifted down from 158 to 155 years in the last 1,000 years. This drift may simply reflect the variability associated with the Gleissberg Cycle which is said to vary between 72 and 83 years. The drift of the Double Gleissberg Solar Cycle down from 158 to 155 years may simply reflect an overall increase in the Earth’s orbital distance from the Sun. An increase in orbital distance is associated with an increase in the number of days per year. But beneath all the fevered speculation about intercalary months lies a 2nd century AD calendar from Roman Gaul that “yields a total of 354 or 355 days” just like the Islamic lunar calendar. Personally, I favour the latter explanation because an increased orbital distance would explain why the Carrington Event is associated with bright auroras instead of Fiery Dragons. On September 1–2, 1859, one of the largest recorded geomagnetic storms (as recorded by ground-based magnetometers) occurred. Auroras were seen around the world, those in the northern hemisphere as far south as the Caribbean; those over the Rocky Mountains in the U.S. were so bright that the glow woke gold miners, who began preparing breakfast because they thought it was morning. People in the northeastern United States could read a newspaper by the aurora’s light. The aurora was visible from the poles to the low latitude area, such as south-central Mexico, Queensland, Cuba, Hawaii, southern Japan and China, and even at lower latitudes very close to the equator, such as in Colombia. Estimates of the storm strength range from −800 nT to −1750 nT. Readers should review the Fiery Dragon evidence and draw their own conclusions. Gallery | This entry was posted in Astrophysics, Atmospheric Science, Books, Catastrophism, Earth, Electric Universe, Hecker Horizon, History, Old Japanese Cedar Tree, Solar System. Bookmark the permalink. Excellent summary. Also to be considered is the possibility we are on a diminishing trend that gets weaker over time until the next jolt, though not necessarily linked to the present sunspot cycle. Catastrophes are, after all, unpredictable. Which is why they are termed catastrophes. On a slight tangent I’ve been wondering if Venus has a very powerful magnetic field, that as Ken Wheeler would have it is much more tightly ‘wound’, and thus barely breaches it’s surface yet acts to concentrate, ionise and accelerate the supercritical co2 ‘atmosphere’ where it does. 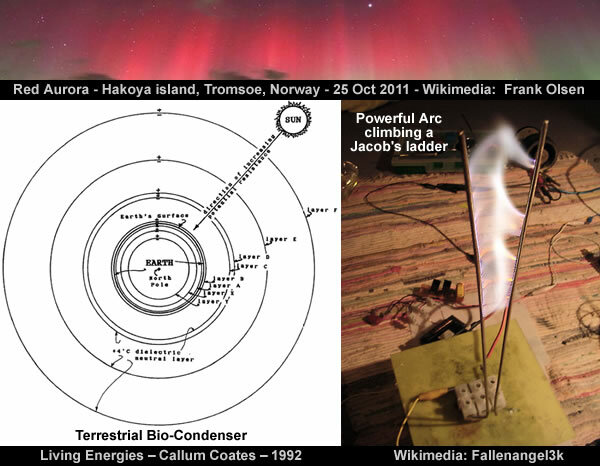 At some critical point the flow of the co2 breaks down chaotically and disconnects from the magnetic field then the planets atmosphere expands several fold and discharges a huge ionised cloud which is almost inevitably drawn into Earths orbital plane by the field effect which Don Scott outlines. Rinse repeat. What happens when Venus is slowed [rotation] to a standstill? This list is dedicated to Tim Cullen and his fond readers. (i.e. CE-AD 986, Oct 2nd). Cfer: ‘Chroniques arméniennes’, p.34, by author: Matthieu d’Edesse (962-1136 AD). A COMET appears, disappears and reappears in Armenian year 515 (May 1066 CE-AD). Cfer: ‘Chroniques arméniennes’, p.156, by author: Matthieu d’Edesse (962-1136 AD). Cfer: ‘Chroniques arméniennes’, p.262, by author: Matthieu d’Edesse (962-1136 AD). the hardest rocks got cleaved and the hills opened up. around while emitting a resounding breath like bronze. When the tremors ended, a very thick snow buried the whole country. Cfer: ‘Chroniques arméniennes’, p. 333, by author: Matthieu d’Edesse (962-1136 AD). in Armenian year 603 (Feb 11, 1154 – Feb 10, 1155 CE-AD). Cfer: ‘Chroniques arméniennes’, p.342, by author: Matthieu d’Edesse (962-1136 AD). by rain, thereafter by a very strong HAILSTORM. Cfer: ‘Chroniques arméniennes’, p.342, by author: Gregory The Priest (ca 1162 AD). Wolf minimum (1270–1350 AD) ==> Black Death occured at the very end of this cycle. This post-Dalton minimum peaked strangely with the Economic Confidence Model 1989.95. – Martin Armstrong Jan 3, 2018.
and smack in the middle of this we have the sulphite spike at 1258 CE/AD. Venus seen burning by Spanish & Mayas period 1533-39 CE/AD, ==> Diseases. – Van der Sluijs, article on TB. Dec 19,2016. 1581, 1586, 1623, 1705, 1710, 1717, 1732, 1737 & 1799 (also in 1832) CE-AD. half of the 19th century. Your latest ‘dragon’ post is about China; I figured this was better here. has claims about the first millennium origins of Sumo traditions. In general, ancient Japanese texts don’t seem to have been carbon-dated.